I am writing a pair of articles for Carolina Biology Supply for their monthly newsletter that it is sent to science teachers around the country. I am not sure when they will actually appear, but I wanted to share the first one here. This year will be my 5th year flipping HS Chemistry. 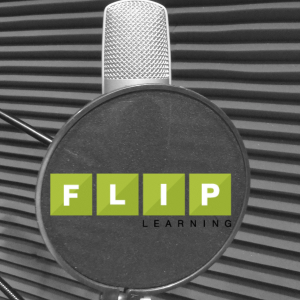 My learning environment is very different than many of my colleagues and I find that my students function better by transitioning into a flipped model of instruction than by simply jumping straight into it at the beginning of the year. I start the year by changing their mindset about learning by altering my assessments (using mastery and student choice) and lab activities (introducing guided-inquiry), and then start using video for instruction about 2 months into the school year. By the time I remove myself from the front of the room and put myself onto the computer, they are so used to thinking differently that the adjustment period is much shorter. Use the videos to start a class discussion–The TED Ed website (ed.ted.com) is a wonderful resource for finding short, animated science videos to illustrate topics and taking the first steps toward using video for instruction. Just How Small Is an Atom? by Jon Bergmann (http://bit.ly/smallatom) and How Big is a Mole? by Daniel Dulek (http://bit.ly/chemistrymole) are two that I use as starter activities to introduce a lesson and begin a discussion on a topic. The TED Ed videos work well because the content is created by educators for educators so it uses simple terms and also gives real-world analogies to make it easier for students to understand. Also, the animation is excellent and helps keep kids’ attention. 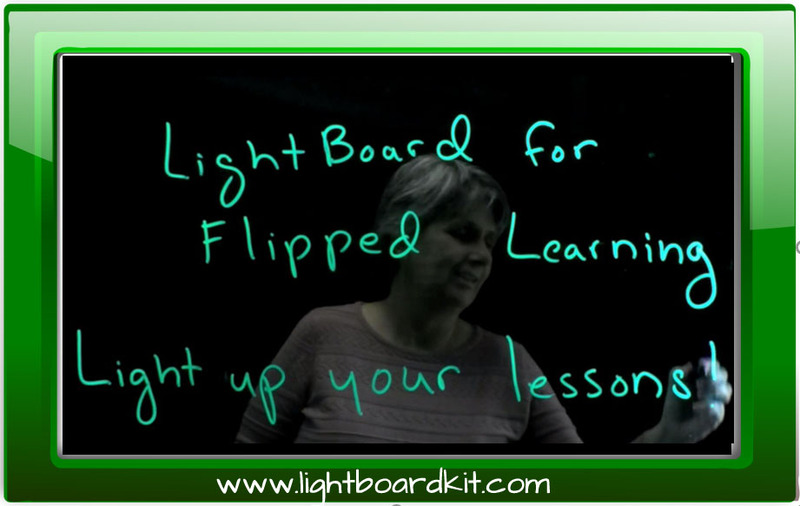 The TED Ed videos can also be used for instructional purposes as well. One of the few instructional videos I use in my AP Chemistry class is How to speed up chemical reactions (and how to get a date) by Aaron Sams and Mark Paricio (http://bit.ly/kineticsreactions). This video perfectly summarizes everything my students need to know about collision theory and reaction rates for the Kinetics unit. I assign this video for HW, ask them a series of follow-up questions the next day, then we perform a rate-law lab that demonstrates what they learned in the video. Students are then required, as part of their conclusion statements, to explain how the different reactions in the lab illustrate the methods for speeding up the chemical reaction that was shown in the video. 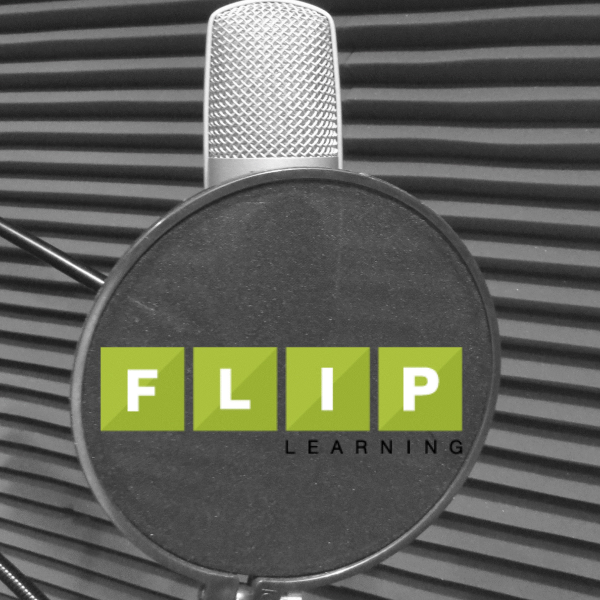 Record examples you complete in class–The first instructional video I created was simply a recording of me completing two example problems in class. A student made a comment that she really wished there was a way to hear me explain the hard examples again when she was studying. I used a video camera to record the computer monitor while wrote everything out on the interactive whiteboard (IWB) and then dubbed my voice over the writing later. You can do this easily now simply by asking a student to come by during lunch or after school, handing him/her your cell phone, and asking him/her to record what you write on the board. It will take 5 minutes to record and seconds to upload to YouTube or your website. Or, if you have an IWB, use a program like Snagit by TechSmith to capture all of your writing to share later. Instructional videos as notes only, no examples–One comment my students make is that either my videos are too long (keep them to under 10 minutes!) or that I provide too many examples. What I have started to do is create two sets of videos: one that is strictly notes that contain things like definitions or diagrams, and a second that contains only examples of how to solve problems. Some of my students watch the videos on their bus rides to athletic events and say they can’t concentrate well enough on a bus to truly understand the problems I show, but the definitions are easy to get down in their notebook without much thinking. Hold Student Accountable. What you will need to remember, regardless of the purpose of your video, is you must hold the students accountable for watching the videos. You can use a Cornell notes system, have students generate original questions based on what they learned, tie all assessments directly to the learning in the videos, or have them complete reflection logs after each video. Kids are used to watching videos for entertainment only. You need to help them see them as learning tools as well and help them develop ways that aides in retention of that learning. 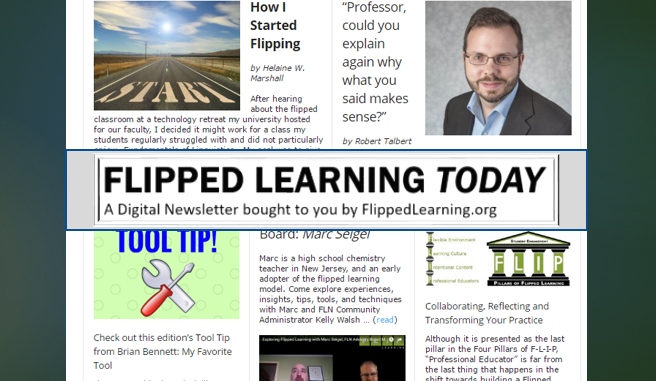 I hope these tips are helpful as you transition from a classroom utilizing a lot a direct instruction to a flipped classroom. Video is a powerful way to excite students about a topic and to deliver content that will help you better utilize class time. Marc Seigel has taught high school Chemistry for sixteen years, and has been using the Flipped Classroom model of instruction in his classroom for the past six. 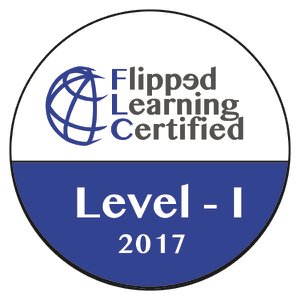 Presenting at state and national conferences (including three FlipCons) has developed Marc’s love for collaborating with teachers and administrators of all levels and disciplines, and has run workshops on “flipping” throughout the Northeast. A Google Certified Innovator & Educator, Marc is a self-proclaimed Positive Deviant and “Johnny Crayons.” Find Marc on the internet at (www.marcseigel.com) and on Twitter (@DaretoChem). You can find examples of his work by using the hashtags: #chemisawesome, #wordsofawesome, and #RoomofAwesome.